LRWC continues to be gravely concerned about the treatment of Palestinian lawyer Muhammed Allan, that contravenes Israel’s international law obligations. There is international consensus that trials of civilians by military tribunals contravene the non-derogable right to a fair trial by a competent, independent and impartial court to the extent that they violate rights guaranteed by Universal Declaration of Human Rights (UDHR) and the United Nations (UN) International Covenant on Civil and Political Rights (ICCPR), which Israel ratified on 3 October 1991. Mr. Allan was seized from his family home during a pre-dawn raid by Israeli occupation forces on 8 June 2017, placed under administrative detention, and then participated in approximately 34 days of a hunger strike to protest his arrest and administrative detention. He is now facing charges of incitement before an Israeli military court. Mr. Allan was previously held in a year-long administrative detention, and only released in November 2015 after carrying out a gruelling 66-day hunger strike. LRWC urges the government of Israel to respect its international legal obligations, to end the use of military courts to try Palestinian civilians such as Mr. Allan, and to release him immediately. In the event he is subsequently properly charged, Israel must, in accordance with law, ensure his right to be tried by a civilian Israeli court using established international legal procedures. As set out in LRWC’s 11 July 2017 letter, Mr. Allan was arrested by Israeli forces on 8 June 2017, without charge. To protest his arrest and administrative detention, Mr. Allan began a hunger strike the same day as his arrest. This follows a previous administrative detention of one year, from which he was released in November 2015 following a 66-day hunger strike. On 2 July 2017, the Israeli military court indicated it would charge Mr. Allan with “incitement” on social media for posting about politics and for participating in demonstrations to support Palestinian prisoners and demand their freedom. On 11 July Mr. Allan ended his hunger strike, after approximately day 34; local reports said Mr. Allan ended the hunger strike after he reached a deal with the Israel Prison Service to end his strike, however details of the agreement have not been released. Reports from Mr. Allan’s lawyer indicate he is now being held in Megiddo prison. He is accused of inciting violence against Israel by using Facebook posts and the trial is set before the Israeli military court. LRWC expresses concern over the separate sets of laws for Palestinians and Israelis, particularly the use of military courts, to deal with all criminal and security violations involving Palestinians, as these violations are defined by Israel in its military orders. Only very exceptional, usually symbolic cases are heard by Israeli civilian courts. Virtually all – over 99 percent – of cases heard by the military courts in the territories end in a conviction, according to data in the military courts’ annual report. Many of the orders enforced through the military courts also criminalize a wide array of other types of activities, including forms of political and cultural expression, association, assembly, movement and nonviolent protest – anything deemed to threaten Israeli security or adversely affect the maintenance of order and control of the territories. As the occupying power, Israel has the legal obligation to ensure respect for and protection of the rights of Palestinians within its control. Military courts are sometimes used to prosecute or determine the rights of civilians for the purpose of asserting executive control over independent judicial decision-making and allowing for procedures that deviate from standards applied by regular civilian courts. Exceptional circumstances are often cited as justification. There is international consensus that trials of civilians by military tribunals contravene the non-derogable right to a fair trial by a competent, independent and impartial court to the extent that they violate rights guaranteed by the UDHR and the ICCPR. Everyone has the right to be tried by ordinary courts or tribunals using established legal procedures. Tribunals that do not use the duly established procedures of the legal process shall not be created to displace the jurisdiction belonging to the ordinary courts or judicial tribunals (para. 5). failure of military tribunals to fully ensure rights related to the ability of the defendant to prepare and present a full defense. the existence, in many countries, of military or special tribunals which try civilians. This could present serious problems as far as the equitable, impartial and independent administration of justice is concerned. Quite often the reason for the establishment of such courts is to enable exceptional procedures to be applied which do not comply with normal standards of justice. While the Covenant does not prohibit such categories of courts, nevertheless the conditions which it lays down clearly indicate that the trying of civilians by such courts should be very exceptional and take place under conditions which genuinely afford the full guarantees stipulated in Art 14. The HR Committee stated in its 2007 General Comment No. 32 that ICCPR Article 14 applies to “all courts and tribunals within the scope of that article, whether ordinary or specialized, civilian or military.” The HR Committee commented that whenever a State tries a civilian before a military or another special tribunal, it must offer the due process standards under Art 14 of the ICCPR. States are also required to provide objective reasons for trying civilians in a military court and why ordinary courts cannot be used. Judges should always be independent and impartial. In contrast, two of the core values of a military officer are obedience and loyalty to her or his supervisors. Under international law, military tribunals can only be competent to try military personnel for military offences. Military courts should not try military officers if civilians have also been indicted in the case and if civilians are among the victims. All sentences issued by military courts should be reviewed by a civil court, even if they have not been appealed. Military courts should never be competent to impose the death penalty. End the use of administrative detention, a practice which contravenes rights to the presumption of innocence and pre-trial release. UN General Assembly, Universal Declaration of Human Rights, 10 December 1948, 217 A (III), Articles 7-11, available at: http://www.refworld.org/docid/3ae6b3712c.html. UN General Assembly, International Covenant on Civil and Political Rights, 16 December 1966, United Nations, Treaty Series, vol. 999, p. 171, available at: http://www.refworld.org/docid/3ae6b3aa0.html. Samidoun – Palestinian Prisoner Solidarity Network, “Muhammed Allan on 30th day of hunger strike for freedom,” 7 July 2017, online: http://samidoun.net/2017/07/muhammad-allan-on-30th-day-of-hunger-strike-for-freedom/. 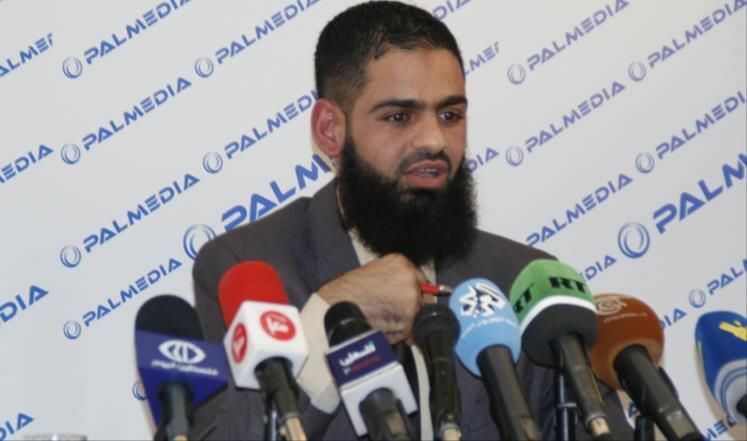 Ma’an News Agency, “On 34th day, Muhammad Allan ends hunger strike in Israeli prison,” 12 July 2017, online: http://www.maannews.com/Content.aspx?id=778030. Haaretz, “Nearly 100% of all Military Court Cases in West Bank End in Conviction, Haaretz Learns,” 12 November 2011, online: https://www.haaretz.com/nearly-100-of-all-military-court-cases-in-west-bank-end-in-conviction-haaretz-learns-1.398369. See also: Addameer Prisoner Support and Human Rights Association, “Presumed Guilty: Failures of the Israeli Military Court System: An International Law Perspective,” November 2009, online: http://www.addameer.org/files/Reports/addameer-report-presumed-guiltynove2009.pdf. Addameer, “The Israeli Military Court System, 12 July 2017, online: http://www.addameer.org/israeli_military_judicial_system/military_courts. See also: Lisa Hajjar (2005), Courting Conflict: The Israeli Military Court System in the West Bank and Gaza, London, The University of California Press, p. 3. UN Human Rights Committee (HR Committee), CCPR General Comment No. 13: Article 14 (Administration of Justice), Equality before the Courts and the Right to a Fair and Public Hearing by an Independent Court Established by Law, 13 April 1984, paragraph 4 [CCPR General Comment No. 13], available at: http://www.refworld.org/docid/453883f90.html. HR Committee, General Comment No. 32, Article 14, Right to equality before courts and tribunals and to fair trial, 23 August 2007, CCPR/C/GC/32 [General Comment No. 32], paragraph 22, available at: http://www.refworld.org/docid/478b2b2f2.html.